creating live remixes of originals and covers via live looping, audio effects, Push beat slicing, virtual synths, vocoder and iPad Lemur app. 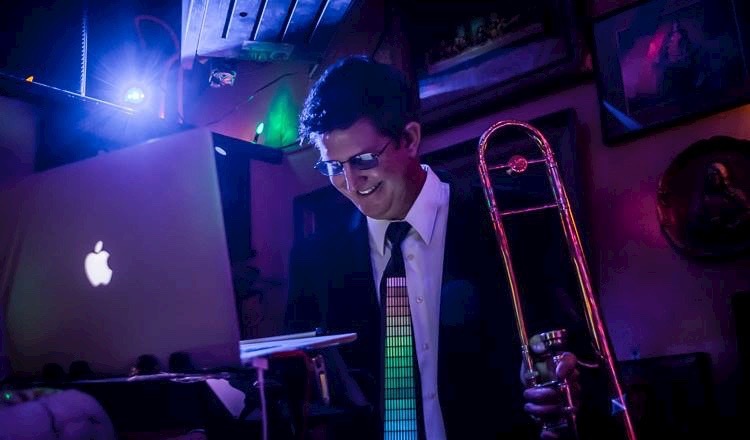 Kramer has been a professional musician for over 30 years, working as a full-time freelance trombonist, pianist, composer, producer and educator around the world. Now, his varied and extensive skills are expressed in these entertaining & cutting-edge multimedia experiences. New technology is expensive! Please consider a small donation to help me continue bringing it to the people. Many thanks!